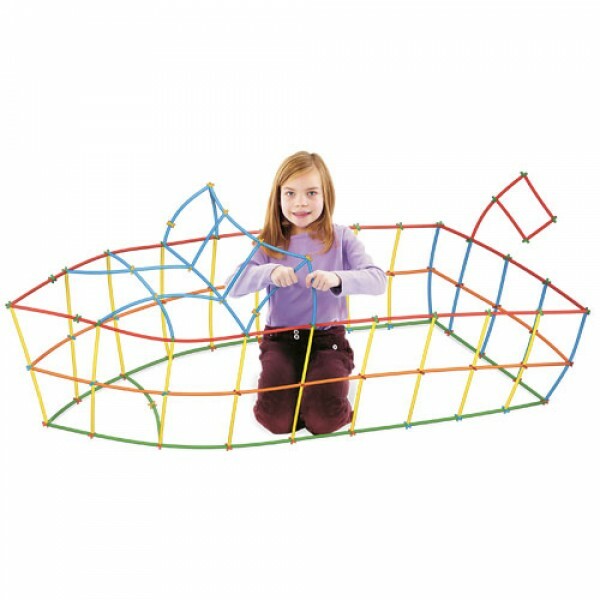 This clever building set from Roylco is simple to use for endless hours of imaginative play! Make playhouses and forts, design buildings, or even engineer spacecrafts. Follow the suggestions in the idea guide, or let your imagination run wild. It's the most economical building set around! Includes idea guide. 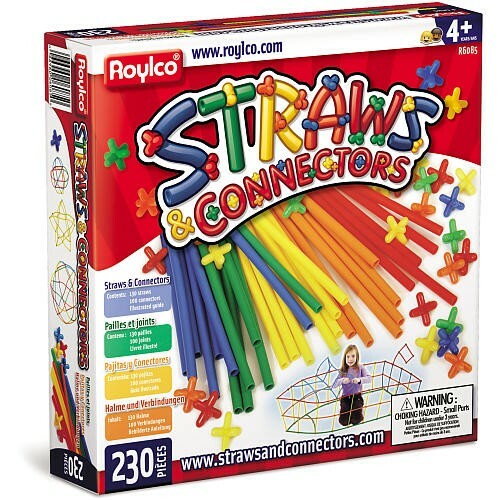 The straws fit snugly on the connectors, but are flexible so you can build arches and tubes. The set includes 230 pieces and straws can be cut with ordinary scissors for varying lengths.